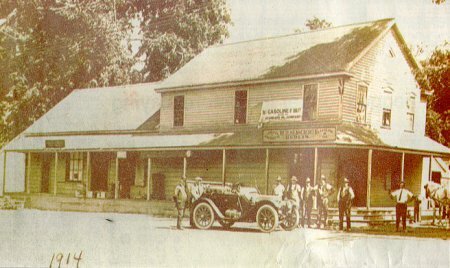 The general store on Dublin Boulevard and Donion Way in Dublin as it looked in 1914 when it also sold gas to Lincoln Highway travelers. Originally published in the Oakland Tribune, Sunday, October 19, 1997. Also published in the Tri-Valley Herald and The Argus. Reproduced with permission.